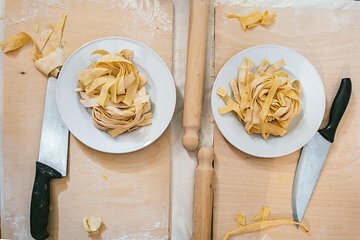 Learn to make classic Italian dishes—pasta and tiramisu—during this 2-hour workshop in Rome. With a small group, you'll enjoy a hands-on workshop and have plenty of time to ask questions. Then, sit down with your fellow classmates and enjoy the meal with a glass of wine. You'll have plenty of time to ask questions about Italian cuisine of your chef/guide.